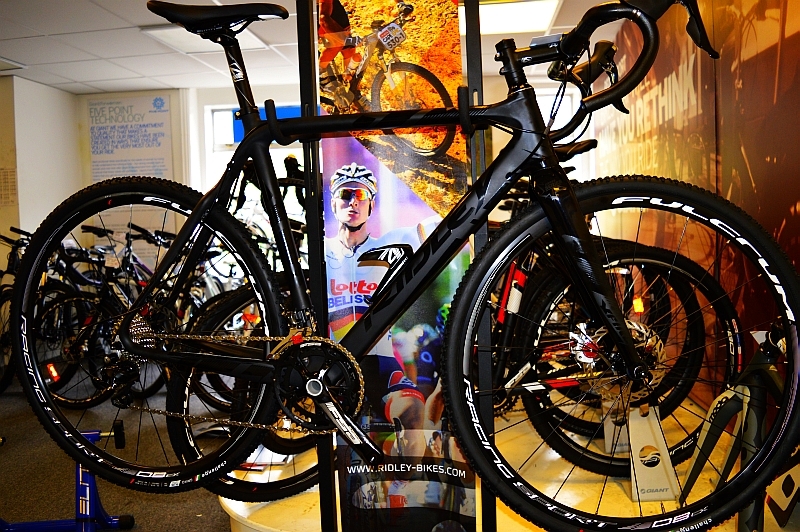 Ridley’s 2015 X-Fire disc model is one of the recent batch of Cross bikes we’ve added to our showroom display. With its black carbon frame, with gloss decals, it’s a head-turner. The spec is outstanding too. Why not pop into the shop for a proper look at this and the rest of our growing 2015 ‘Cross bike display? This entry was posted in Latest News on September 25, 2014 by pedalsportclub.